Is your organization's security operations (SecOps) team working tightly with other IT teams to ensure the enterprise is secure? Who in IT is accountable, and why? From the service desk to technical and application management, how does vulnerability management and security incident management affect the IT world? Phyllis Drucker is senior consultant and information leader at Linium with more than 20 years of experience in service management. She holds numerous industry certifications, including ITIL Expert and VeriSM, as well as being an international speaker and author. 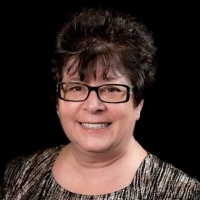 Phyllis is a recognized expert on the service request catalog, and she was an early adopter of enterprise service management, first applying service management capabilities to HR, finance, accounting, and contracting in a shared service center environment in 2006. Since her first speaking engagement in 1997, Phyllis has helped to advance the service management profession of leaders and practitioners worldwide by providing her experience and insight on a wide variety of topics.